Beth Tikvah prides itself on welcoming a diverse population that includes families and individuals from diverse backgrounds and lifestyles. These include interfaith families, LGBTA families and individuals, adults and children with special needs, adoptive families, and other diverse families. Membership at Congregation Beth Tikvah is open to all people of Jewish faith, eighteen years and older. Membership is always extended to the entire family, including non-Jewish spouses and partners. All of our members enjoy the benefits of having a Jewish home. With members and staff support and volunteer efforts, Beth Tikvah members create groups that bring together families and individuals from all walks of life, creating smaller communities within the larger membership. We offer a variety of Shabbat prayer experiences. Before and after every service at Beth Tikvah, congregants take time to catchup with old friends and make new ones. Beth Tikvah also celebrates a special Shabbat experience for children seven-years-old and younger called Tikvah Tots. Children can meet and pray with their families in a service geared towards them. The Rabbi leads an abbreviated Shabbat service filled with fun songs, Shabbat stories, audience participation and lots of opportunities to get up and move. There is a special arts and crafts project after the service and kid-friendly dinner. Tikvah Tots meets once a month during the school year. Beth Tikvah operates an excellent Religious and Hebrew School, which incorporates many different ways to learn. Teachers make a special effort to integrate new children into the classroom community. We welcomed New Members at our New Member Picnic at the end of the summer, 2018. Beth Tikvah’s Sisterhood and a Brotherhood both host activities and meals at the synagogue and around central Ohio. These organizations create a way for members to spend more time together and form friendships with one another. Shishim is Hebrew for 60 and the group was created and run by congregants 60 and older. Our temple’s baby-boomers, retirees and elders are part and parcel of Beth Tikvah’s community life. They participate in adult education classes, Brotherhood and Sisterhood, holiday celebrations and other activities. 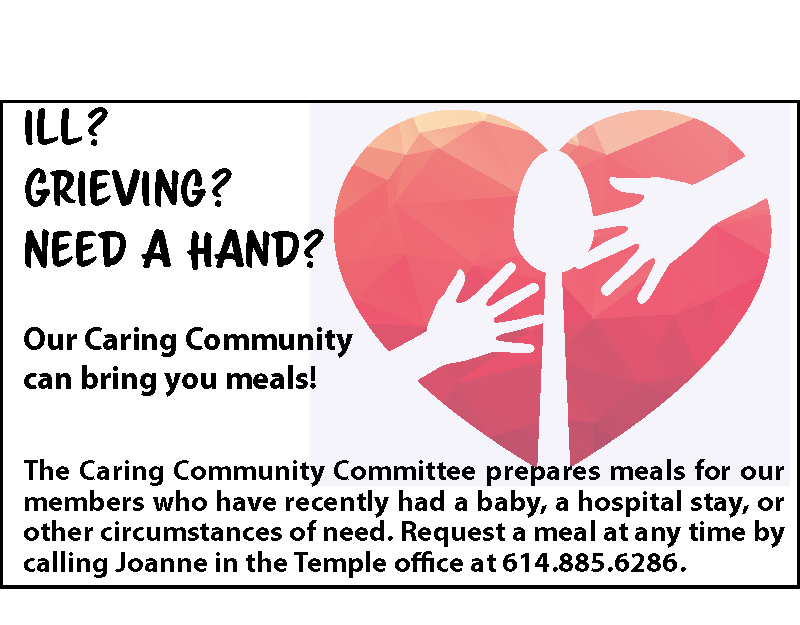 In addition, there is a special Shishim social and educational group for seniors that offers once-a-month programs. 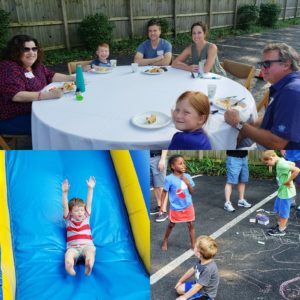 In addition to making it a priority to welcome members and fully integrate them into our Beth Tikvah family, we also strive to play an active role in the Worthington community. Members regularly volunteer at the Worthington Resource Pantry. Beth Tikvah is a member of B.R.E.A.D., an interfaith social action organization serving the greater Columbus area. To learn more about joining Beth Tikvah, click here.